Jason Arens, 26, knows what it's like to have his heart race at the top of a contest run. 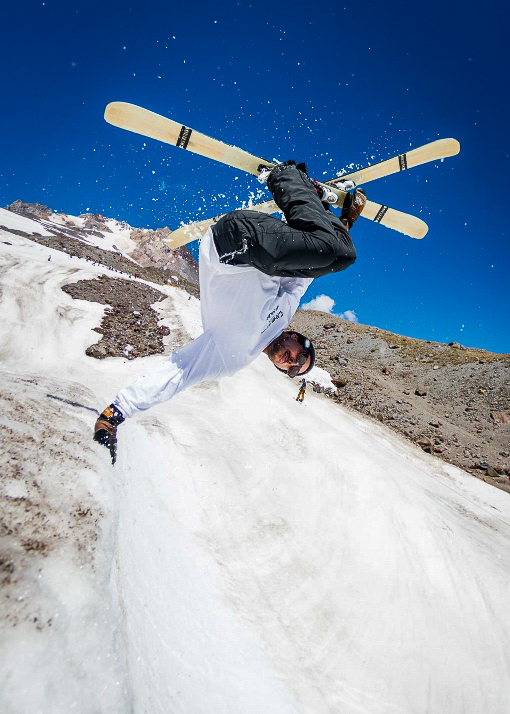 An athlete for Surface Skis and the marketing director at Windells Camp on Mount Hood, Arens has been learning tricks like handplants and switch 5 Japans since he was 14 years old. Come December 8-11, Arens will use his expertise at the Dew Tour in Breckenridge, Colorado, where he will lead the judges panel. Arens has competed in qualifying competitions, such as the Dew Tour and North Face Open events, since 2006. In 2012, Aspen local, former professional skier, and longtime judge Steele Spence asked him to join the judge’s box. Arens understands the sport as an athlete and an observer, paying close attention to the progression of tricks he's seen over the years. Skiers are flipping more and spinning faster—but that doesn’t ensure a perfect score under Arens’ watch. He's excited by the team competition format and redesigned layout of the slopestyle and halfpipe courses at Dew Tour this year, hoping unsung athletes will be able to shine, especially in the separate rail sections. POWDER caught up with Arens to hear what it's like to see the sport evolve from a bird's eye view. The first run always sets the tone for the weekend. It's my third year judging Dew Tour, my first as head judge. In the booth, the head judge is responsible for overseeing the judging process—for creating a conversation, picking [the run] apart for the correct elements, and comparing it to the other runs we've seen in the contest. It all happens pretty quickly. The action starts the day before the contest. It's commonplace for all of the judges to go up and watch practice together, giving us insight about which lines athletes are selecting through the course, what level of competition we're dealing with, and what kind of tricks [the athletes] are doing and where. When we're sitting down and judging we have a preconceived notion of what to expect. We're cautious with what we discuss with the athletes. We try not to discuss any particulars about the contest, as to avoid giving anyone an edge. At the end of the day, the contest is dictated by the athletes…we're judging them off where the sport's going, what the athletes are doing, and what kind of creativity we get to see. The criteria that we break into is: progression, amplitude, variety, execution, and difficulty. The majority of judges are previous competitors. More or less, it gives you an actual sense of what is difficult…and it translates to having a current idea of what is appreciated, not only in the sport, but in the tight competitive pool we see at the highest level. People are continuing to flip and spin a whole lot more…but, there are some skiers who are fighting this trajectory, and starting to figure out how to make incredibly low-rotation tricks as difficult as the others. That's the real thing, especially with Henrik Harlaut and Vincent Gaugnier. The tricks they are figuring out are testing the limits of physics, doing things that—until the moment that people actually witness it happening—everybody in the room would tell you: That's impossible.